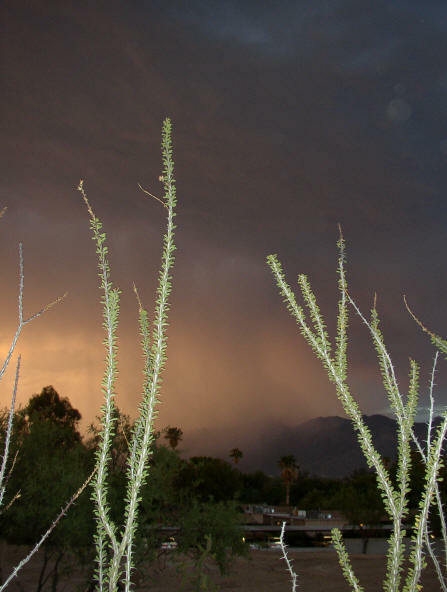 This post will document the thunderstorm and macroburst(s) that moved across Tucson last evening between about 7 pm and 8:30 pm MST (0200 to 0330 UTC). I will follow this with a second post examining the RRS Sippican soundings from the Tucson NWS site. The second post will examine how difficult it is to diagnose the storm potential and local environment with unreliable sounding data. This area of town is just to the west-northwest of our house. On a walk this morning, I observed and photographed trees and moderate limbs down, and everyone I encountered talked about the vicious wind storm last evening. When I drove out to have some car repairs done I observed numerous moderate limbs and trees down; several intersections had damage to the light poles and police were directing traffic. I only observed one building that had roof damage (at the intersection of Campbell and Grant). This was in north central Tucson and not covered in above report. I am told that the atmo roof-top anemometer measured a gust to 80 mph; this is near the downtown and just to the northeast of the NWS Office. The newspaper reports four different power outage areas scattered over a large part of the metro area from 0200 UTC until 0330 UTC. Obviously this was a significant severe thunderstorm event! 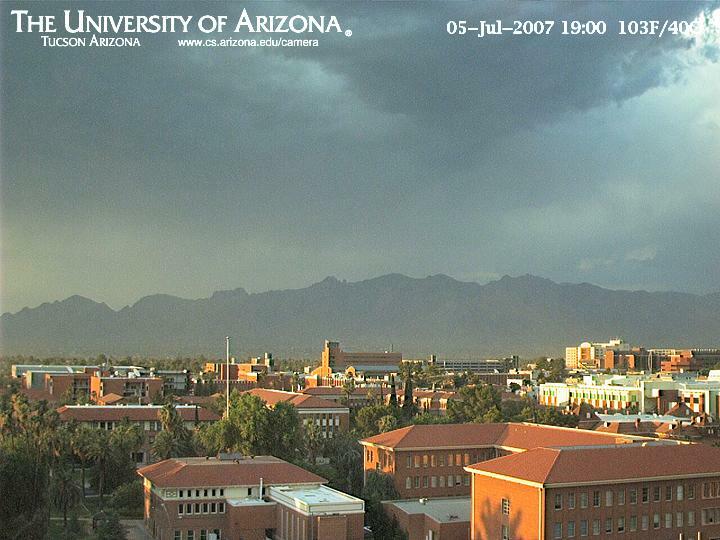 Photo 1 - taken from a campus web cam at 7 pm (0200 UTC,) looking north toward the Catalina Mountains, shows the very high-based updraft over the mountains. There is a slight bit of blowing dust visible, but this was coming from a different cell off to the east. 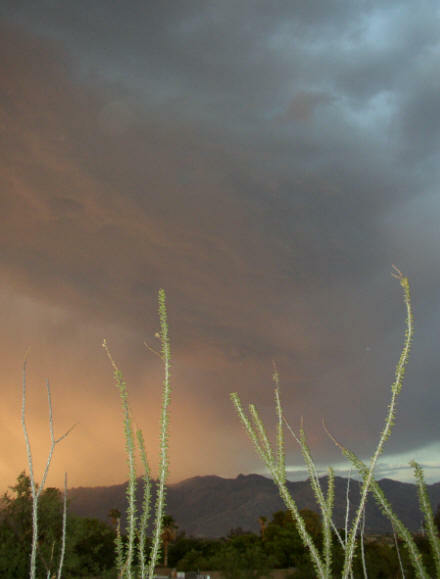 Photo 2 - shows the updraft from our house, at 0230 UTC, over the west end of the Catalina Mountains. Note that a precipitation shaft has developed and is reaching the ground. At this time the storm was characterized by frequent cloud-to ground and in-cloud lightning. Photo 3 - shows the precipitation moving off the west end of the mountains toward the south. This photo was taken 3 minutes after Fig. 2. Photo 4 - shows a large salt cedar limb down. Figures 4, 5 and 6 were taken within two blocks of our house to the northwest, the east, and the south. 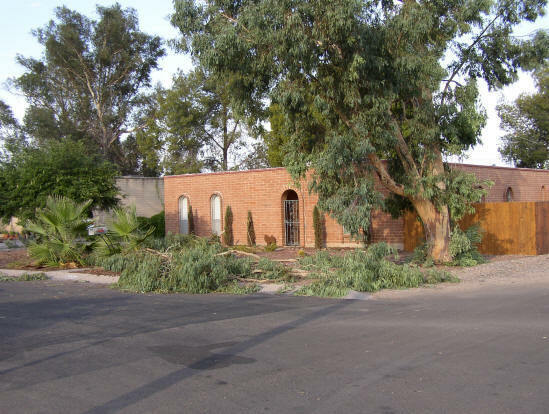 Photo 5 - shows large gum tree limbs down in front of a house. 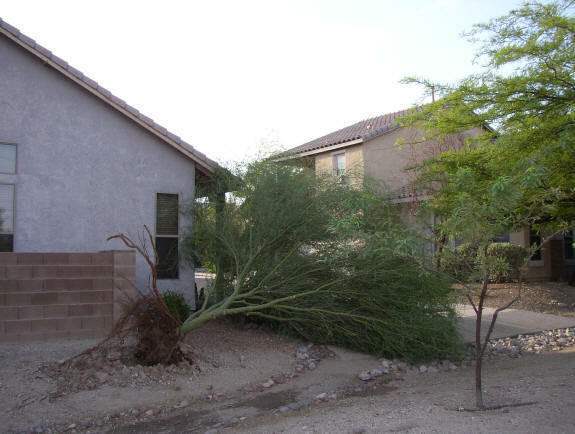 Photo 6 - shows a small paloverde tree that was uprooted. When the macroburst struck at our house the period of strong gusts lasted about 20 minutes. I estimate that we had maximum gusts of 40 to 60 mph during this period. The strong winds were initially from the north but, after about 15 minutes, switched to the south. 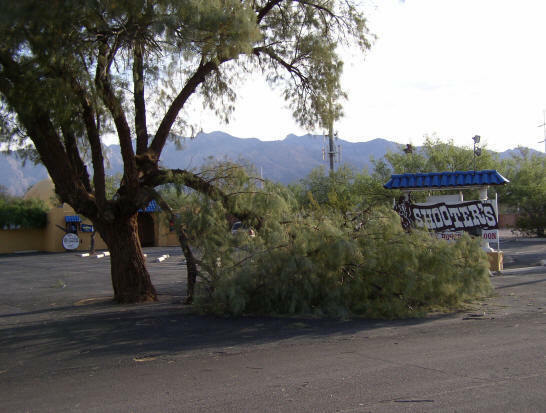 I saw some trees down from south winds, but most were downed by the initial north winds. We had a trace of rainfall accompanied by blowing mud. All in all, a quite a spectacular start to the summer thunderstorm season in the Tucson area!